There are certain beauty tips every woman should know to help her look her best and such tips are to be found on beauty websites. 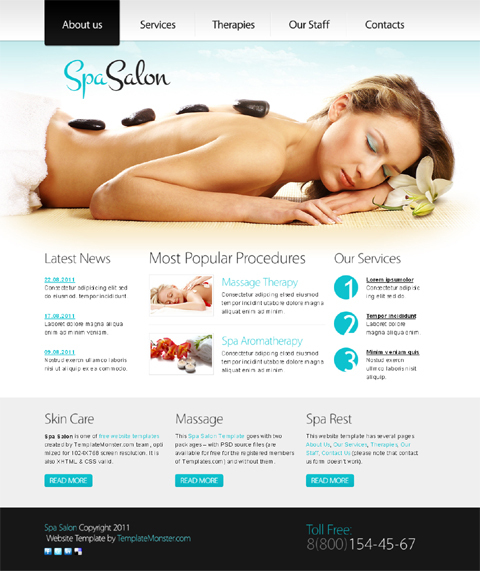 If you want to start a beauty web shop or you are going to bring a beauty salon or a spa salon online, then you will need a web page design for your business. 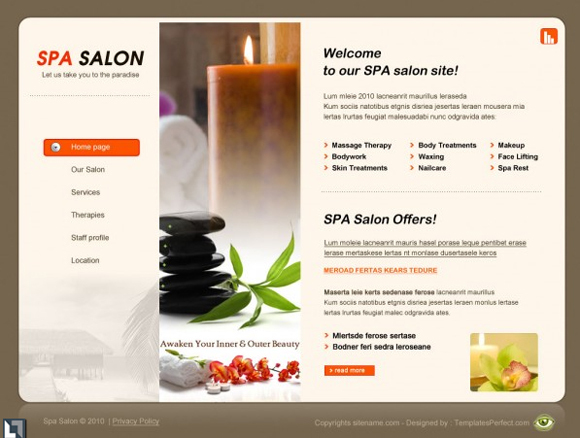 Let’s say you don’t like the idea of a custom design and you prefer a free website template instead. 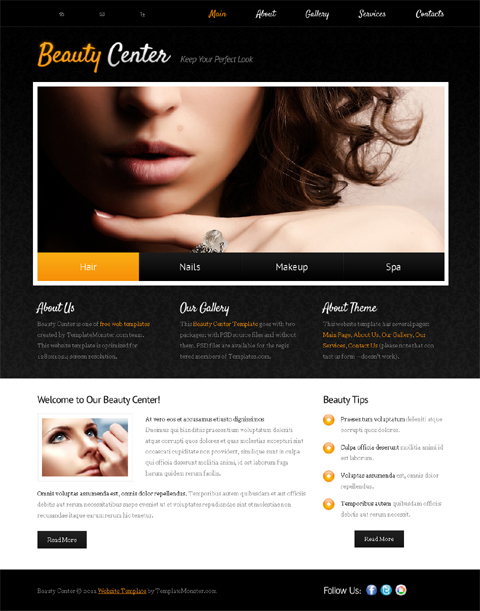 When looking for the best template for a beauty website, you can get quite confused over the choices available. 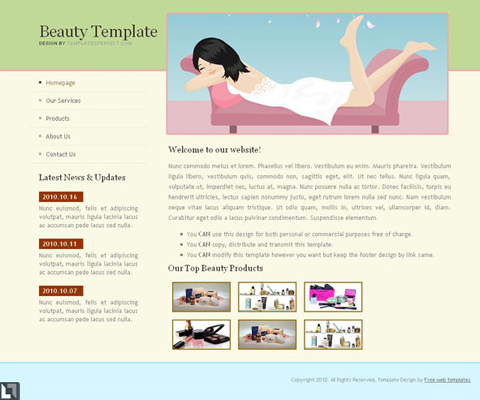 That’s why we have put together a list of beauty related web templates which you can download for free. 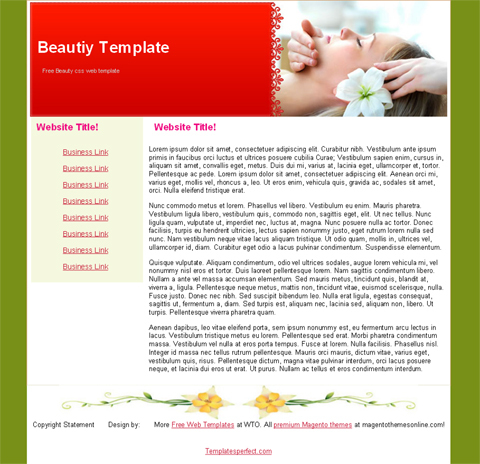 With the following free website templates you can build blogs devoted to specific beauty issues (hair care, skin care, makeup, lips, cosmetics, hairstyles, etc.). 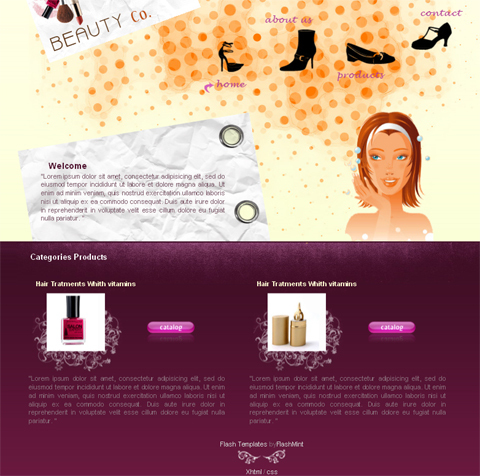 All you have to do is choose the right design for your future beauty website and very soon you will be sharing beauty secrets with your website visitors. 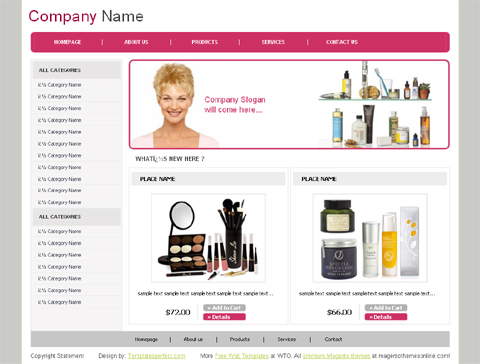 This entry was posted in Beauty Website Templates, Free Website Templates and tagged beauty, beauty website, beauty websites, Free Template, free templates, Free Web Template, Free Web Templates, free website template, free website templates. Bookmark the permalink. 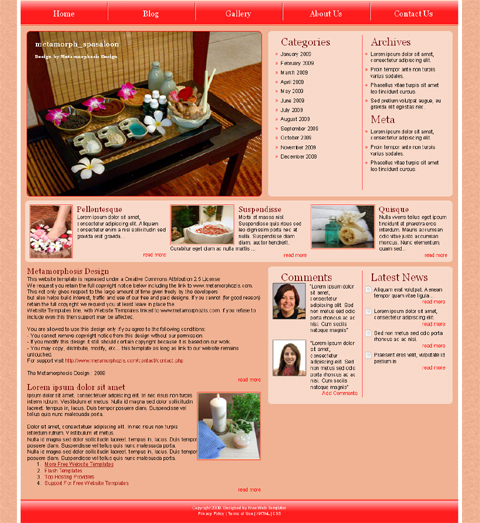 it very usefully for future…..
I’m not that much of a online reader to be honest bbut your sites reall nice, keep it up! I’ll go ahead and bookmark your website to come back in tthe future.